We’re very pleased to hear that the City of York Council has declared a climate emergency and hope to see more support for local action to reduce carbon emissions. Are YOU ready to spring into climate action with us? Whether you roll up your sleeves at our “Housewarming Party” or look for inspiration at the Energy Cafe, we hope to see you in April – please see all the details below. Can’t join either event? Please help spread the word and let us know if you’d be interested in becoming a house assessor. 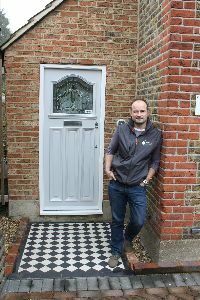 As part of our Warmer York project, we’re planning training sessions for those wanting to learn how to carry out a whole house energy audit. Another bit of great local news is that our friends at YorSpace have been granted full detailed planning permission for their 19 eco homes at Lowfield Green. To find out more, go along to YorSpace AGM on 3rd April, which will feature the documentary film “Britain’s Housing Crisis: A People-Powered Solution”. We’ve been doing what we can to support this flagship project for York and are very excited to see it getting so much closer to becoming a reality. Learn and try out the skills you’ll need to make your own home warm and comfortable at this informal co-operative workshop. Join the party led by Andy Walker of SURE Insulation, the technical editor of Haynes Manual on Home Insulation. 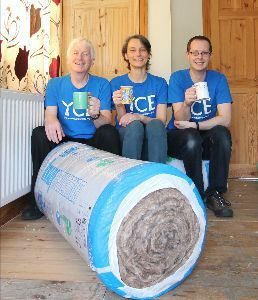 Floors tend to be neglected in contractor-led insulation works despite often being major sources of draughts and thermal discomfort so we’ll be super-insulating that at our first workshop of a series – get in touch if you might like to host a future one! For more info and to book a place see Eventbrite. Free entry, donations welcome. For more information and to register interest, please visit Eventbrite.